December 2nd, 2015. Japanese toy wholesaler and Digimon sponsor company Happinet has updated their web shop with a price and release timeframe for the upcoming Omegamon NXEDGE Style figure. The figure's MSRP is 3,240 JPY (approx. 26 USD) and will launch in April 2016. Currently Japanese users can order the figure through the Happinet set at 13% off. The NXEDGE Style is a line of figures primarily featuring mecha series that appear in the Super Robot Wars crossover games, emulating the SRW super deformed style. 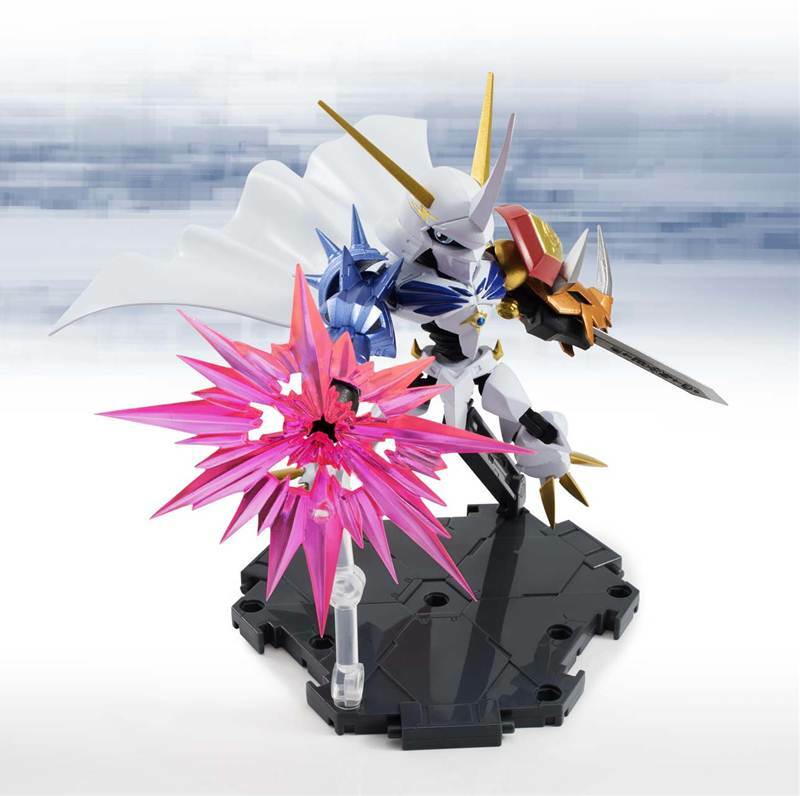 Omegamon is the first non-mecha character to be made into a NXEDGE Style figure, joining the ranks of Mobile Suit Gundam and Mazinger Z.